In 5 days, Rufus and our other cat have become good friends! We couldn’t be more delighted. Thank you so much for helping get Rufus to us, his forever home. Angels, you, and Rufus. At Rescued Pets Movement, we are grateful every day for the amount of support we’ve received from all of you. For a new organization to have been able to move more than 600 animals from death row and send them to new homes in Colorado is amazing. It’s taken a lot of time and effort and energy from BARC, from our fosters, transporters and other volunteers, and from those who board and vet the animals. 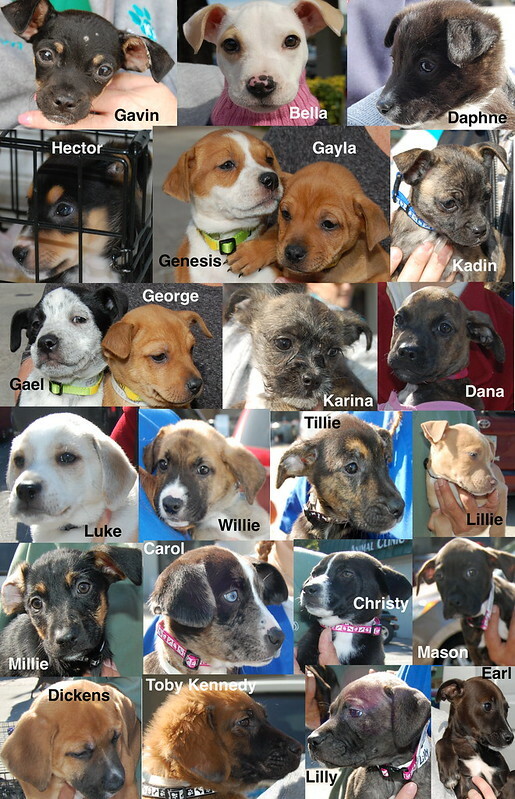 We appreciate everyone who has supported us through donations of food, toys, blankets, and collars. We have constant need of collars of all sizes, because every animal who boards the van is required to have a collar along with a comfortable crate, food, a water source, refreshed liners as needed, bio breaks, and individual litter boxes for the kittens and cats. 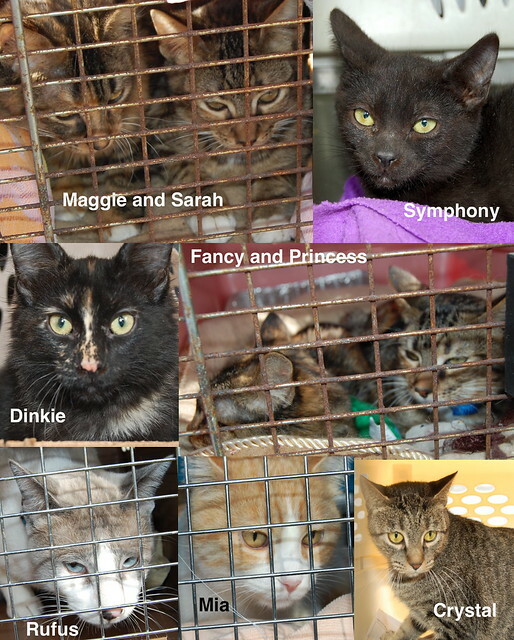 The financial commitment it takes to save these dogs and cats is a deep one, and there’s simply no way we could have accomplished all we have without our donors. Every bit of money you send us goes to animal care and transport; our board members and helpers take no salaries–in fact, all of them contribute financially, as well. Please consider making monthly donations. When we say no amount is too small, we mean it, but our need for funds grows as we save more animals–at an average of at least $50 per pet. We appreciate every donation. Thank you for making this happen! If you are currently unable to contribute material goods or money or time, we understand. One thing you can do is share our stories. Link to us from your Facebook and Twitter accounts. Follow and friend us, retweet and repost us. Share our Tumblr and Instagram photos. As more individuals and companies and groups hear about us, the financial commitment is shared and grows, and our ability to save more puppies and kittens and dogs and cats grows, too. 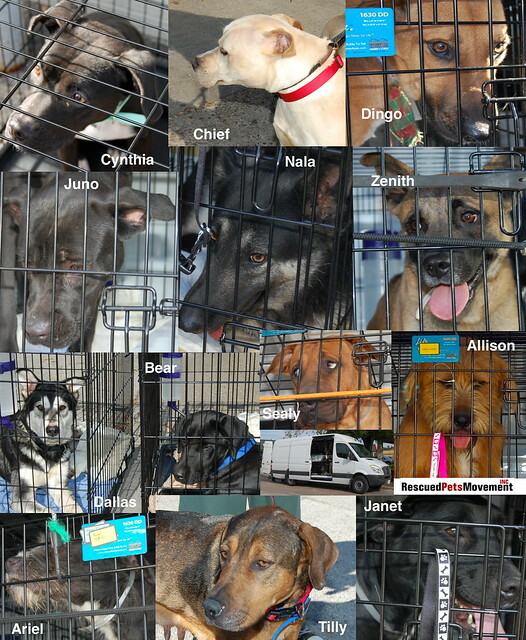 The mama dogs in the composite below are some of the most loving and grateful we’ve seen on any transport day. We know they understand that we’re saving all their lives. No effort is too great for them. Thank you. On transport day I can usually be seen futzing with my phone. This is mainly because I’m taking pictures, posting, tweeting, or answering messages for RPM, as part of my social media duties. But I’ve also been shooting video clips with my iPhone. I’ve finally cobbled them together along with some movie files sent to us at the end of November from Michael Sasser in Colorado of dogs being received by one of our rescue partners to make a short film of what transport day is like for those of you who can’t be there. Of course this video doesn’t show the chaos of finding each dog and cat on our vast spreadsheet, finding the assigned collars, managing the paperwork, and trying to figure out where to place each pet in the van. Or everything that happens between rescuing a pet from BARC and getting them to the van for transport day. However, I hope it shows how much our volunteers care for these rescued pets, how much we like to do what we do, and how well these dogs and cats are received when they get to where they’re supposed to go. I think it’s important for people to know how well cared for and appreciated these pets are after they leave our vans. Transport day can be draining, physically and emotionally. But I love it, because it’s always great to see our volunteers when they drop off their foster dogs and cats. Even though we’re only a few months old, RPM has a fantastic support system. I think our volunteers are wonderful people. They’re caring, helpful, and extremely generous in every sense of the word. I’m always posting Thank you. We can’t do this without you. I post this because it’s true. Without our volunteers and supporters, we’d be nothing. Being a part of RPM has renewed my faith in humanity because of our volunteers, and I’m extremely grateful to them for that. After the van has pulled away and I’ve said goodbye to everyone, I’ll go pick up lunch from somewhere and I’ll find myself smiling. I’ll say hi to strangers. I’ll be pleased when they say hi in return. I’ll walk through my regular routine hoping that everyone around me is as large-hearted as our RPM volunteers. The good thing is that I think I believe it. It has to be because of these dogs and cats, though. Everyone involved–from the staff and volunteers at BARC, the RPM volunteers and supporters, the RPM drivers, the rescue organizations we deliver them to–cares so much about these dogs and cats, because we know they’re special. We know they’re worth all the money, time, and energy we put into making sure they’re safe. I hope everyone realizes these pets are special, and that the ones just like them still on our streets are special, too. I believe that’s possible. Anyway, I hope you like the video. 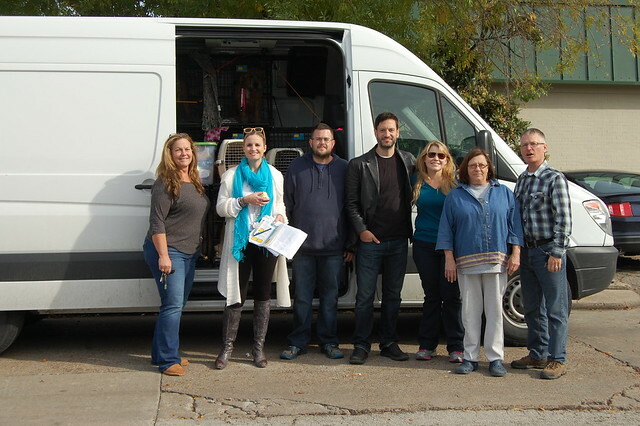 At the last RPM transport of animals from death row to new homes in Colorado, 68 dogs and nine cats made the trip. We know what you want to see: PUPPIES! You know who else loves puppies? 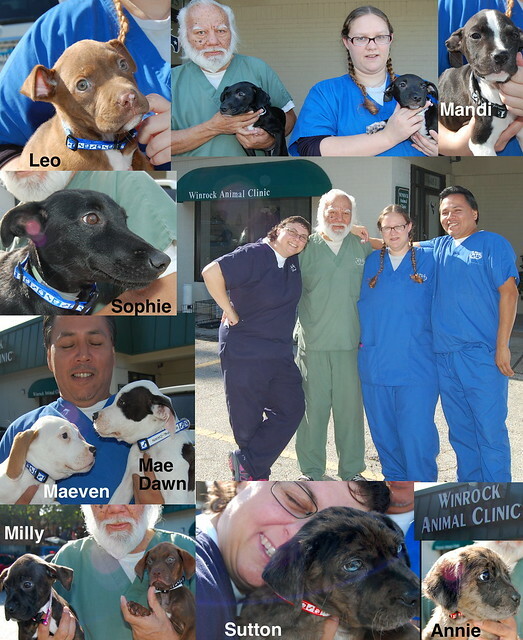 Our friends at Winrock Animal Clinic. We all love the big dogs, too! We also love the kittens and cats. 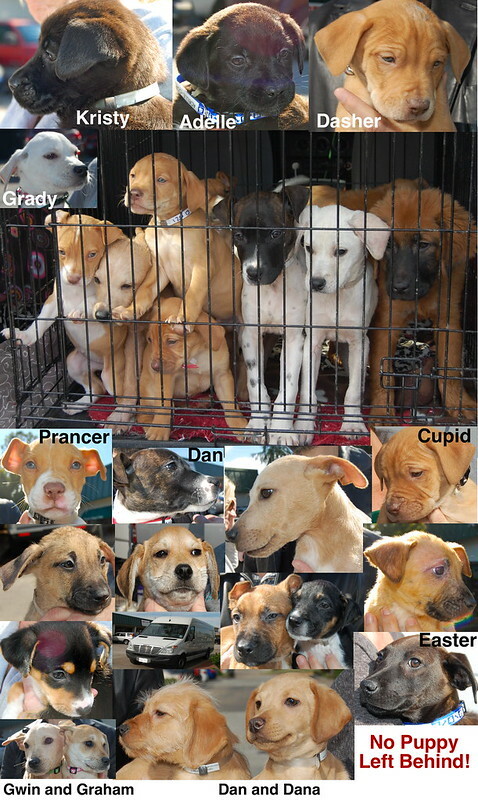 Thanks to all the volunteers, fosters, donors, friends, BARC and Winrock staff, boarders, transporters, board members, adopters, and Colorado rescuers, we will continue our quest to leave no puppy behind! 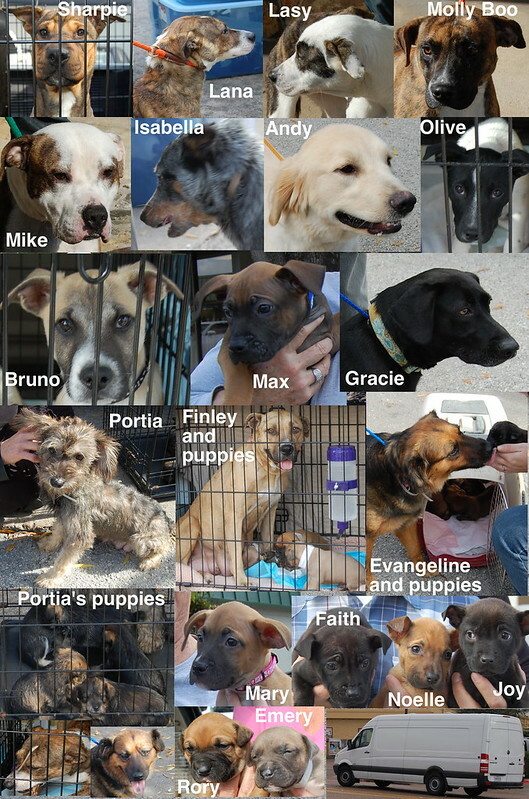 All these beautiful dogs and cats arrived safely, and many have already been adopted. Thank you to everyone who assists with this effort. We couldn’t succeed without you. Your dose of puppy therapy for today. Enjoy! A thank you note to share. We received a very nice thank you email from someone who adopted Harpo, a RPM dog who was transported a few days ago and has already made a wonderful impression on his new family. Thank you for helping us get Harpo to Colorado and making this family happy. We couldn’t have done it without your support. Hello! I just wanted to tell you all a huge THANK YOU!! Thank you for saving Harpo from the shelter, and for taking care of him all this time, and thank you for bringing him to Colorado to join our family. Harpo — we renamed him Franklin (AKA Frankie, the Frankster) — has settled in quickly. He and Reyna adore each other. It continues to be extremely cold and the snow has picked up again today, so we haven’t been able to play outside much. Reyna is very sensitive to the cold and gets really uncomfortable, no matter how much we dress her up. But Frankie acts like this insanely cold weather is totally normal to him. He smashes his face into the piles of snow and prances around in it. He bumps himself into bushes so the snow will fall down on top of him. I’m trying hard to get pictures of him, but its hard to get pictures of him standing still. I’m not sure how Ilyana got this really cute picture, but so far this is the only one that isn’t blurry. Despite not being able to play outside for very long, our dogs have found new ways to exercise: Reyna and Frankie wrestle with each other for hours until they both pass out from exhaustion. They are cuddling with each other during naps. We have a toy box for the dog toys, and Frankie has quickly figured out where the toys are and helps himself to the toy box for a new toy when he’s tired of the one he has. Frankie has been really good at only chewing on dog toys — and Reyna’s ears! He has brought so much laughter to our home in the past few days. He is such an awesome little guy. Again, thank you.